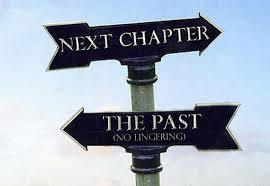 I can remember for a long time praying that I can move on to the next chapter of my life. I was sick and tired of being in the position that I was in and wanted to change. The only problem with that was I didn’t have a clue as to how to go about it. I wanted desperately to stop getting high actually I should call it using because it had been years since I really got high. All I was getting was paranoid. Anyway the desperation began to turn into hopelessness when my life hadn’t changed. I would blame everything for my failures except myself. The real culprit. My life got no better because I kept doing the same things and knowing the results kept doing them anyway. I remember the anger because I was still stuck in the same rut year after year after year. I lost all hope of ever being anything but a useless, worthless addict. I would constantly degrade and belittle myself and I just settled for where I was at as being where I would stay and eventually die. I was so wrong. I am thankful today that I found the courage to ask for help. I understand today that I cannot do this alone. That I need people like me who understand what I am feeling and going through. Since I put down the ego and ask people for help when I don’t know or understand something my life has changed tremendously. With a little practice it has also become easier to ask for help especially knowing now that people WILL ACTUALLY HELP ME. I have been blessed and I am truly grateful that I have finally turned the page and started this new and exciting chapter of my life. I will never underestimate the power and the unity that exist within the fellowship. This process saved my life and has given me unlimited opportunities to grow and become a better person. I LOOK FORWARD TO MANY MORE NEW AND EXCITING CHAPTERS TO COME.